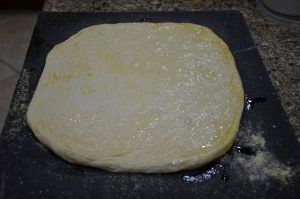 My husband took out one of the frozen pizza doughs from the freezer and set it on the counter. 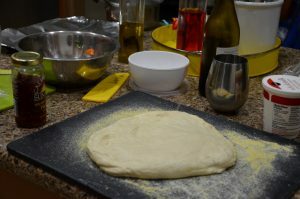 So, pizza night? Ok, let’s get this straight right now before we go any further. 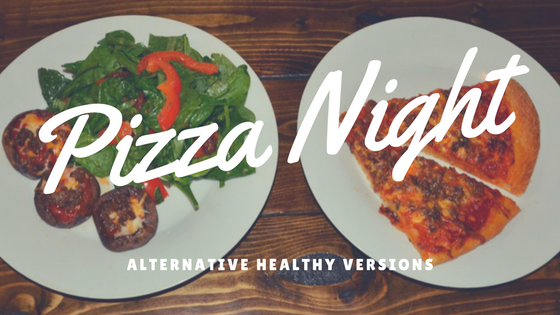 Just because it’s pizza night doesn’t mean you have to break your life style. As you may have noticed by now I tend to eat differently than my husband. My diet is a low carb and low calorie, where as my husbands is not. You can make a meal that spreads across for different diets, without putting in that much extra time, you just need to be willing to get creative, and use similar ingredients across the meal. 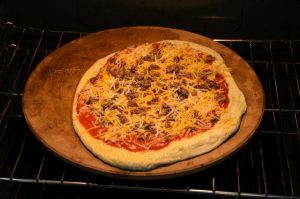 So going back to pizza night! 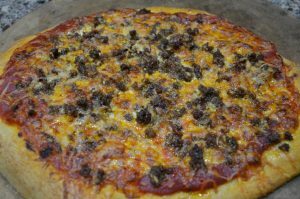 We are going to make a hamburger pizza for my husband and stuffed portobello hamburger pizzas for me, and as always planned leftovers for us to bring to work for lunch. The great thing about the stuffed mushrooms is that all the ingredients, aside from the mushrooms, are the same. This recipe also works great as a finger food at a party or a tiny appetizer! Mix seasonings (parsley, basil, oregano, salt) with meat in a mixing bowl. 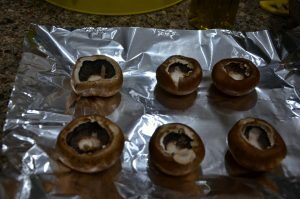 Take stems out of mushrooms and slightly oil mushrooms and sprinkle with salt. 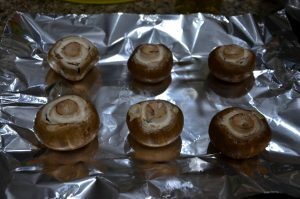 Place oiled mushrooms on a cookie sheet covered with foil. 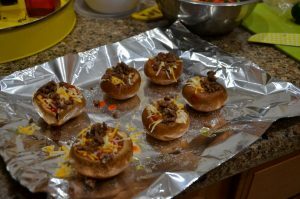 Spoon in pizza sauce into the mushrooms, sprinkle ground beef and cheese.